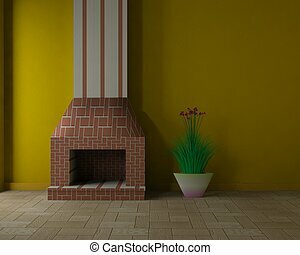 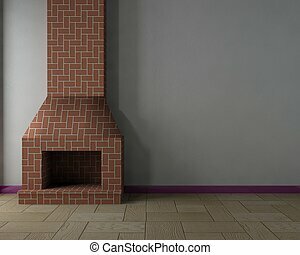 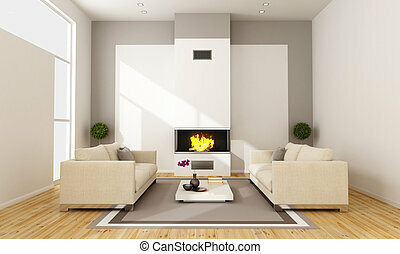 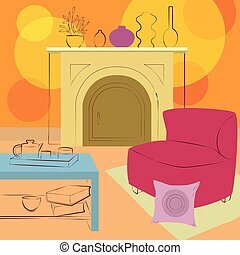 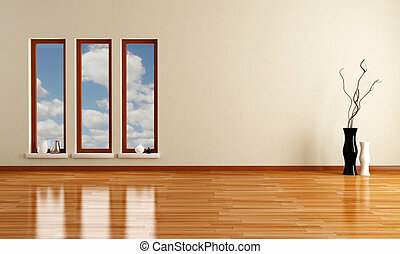 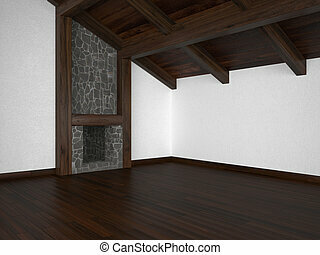 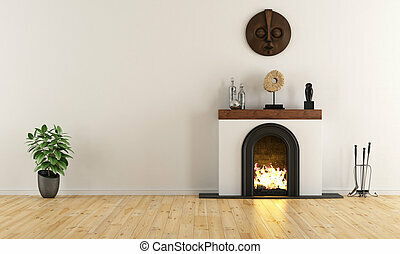 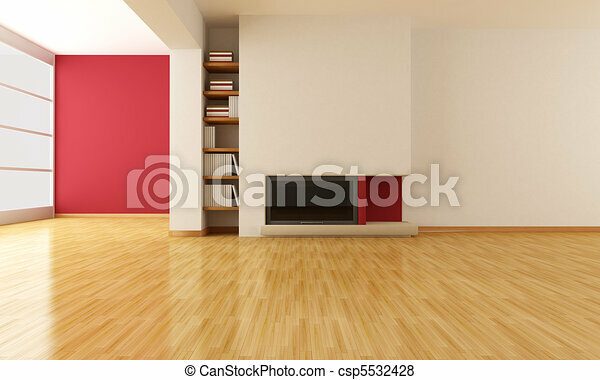 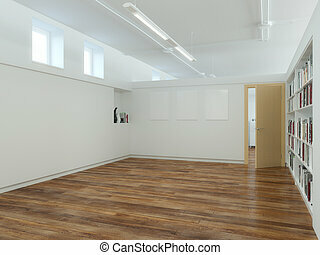 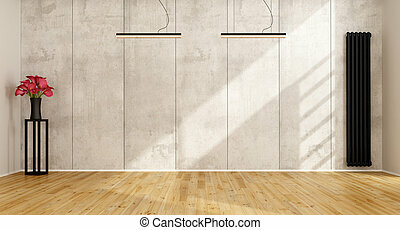 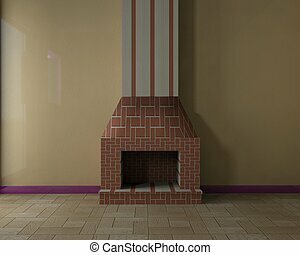 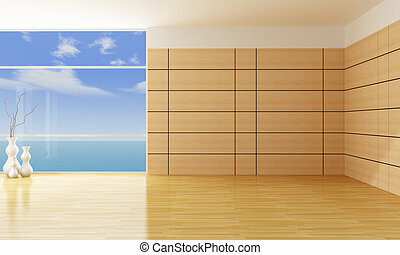 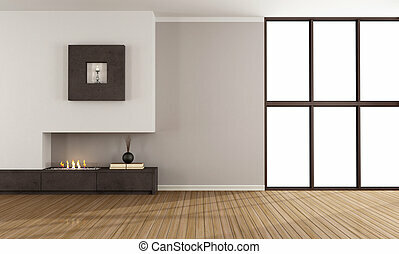 Empty living room with minimalist fireplace. 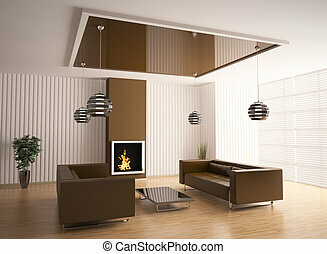 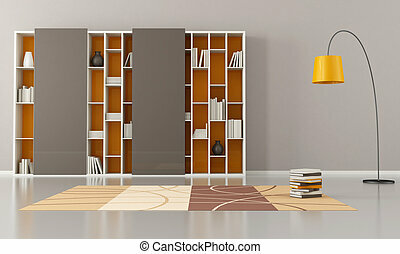 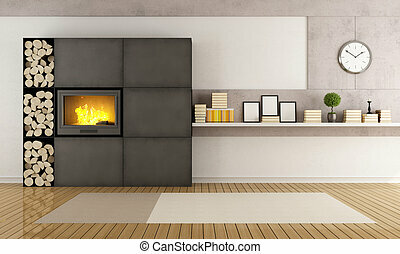 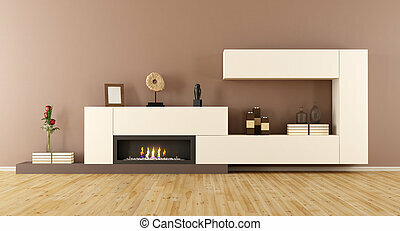 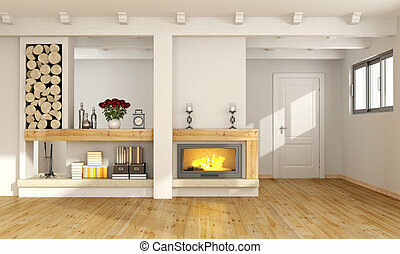 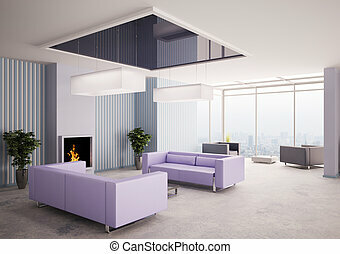 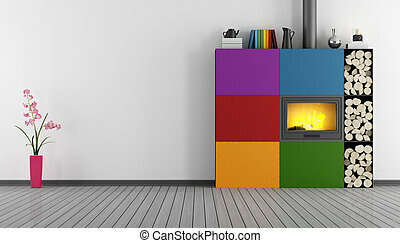 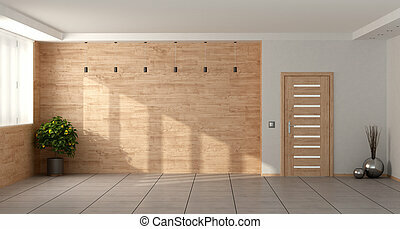 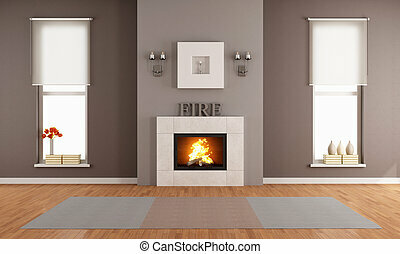 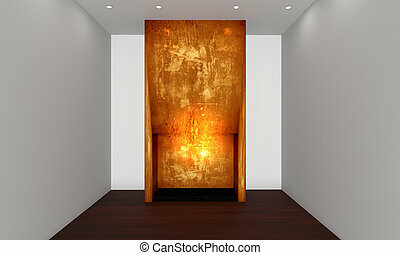 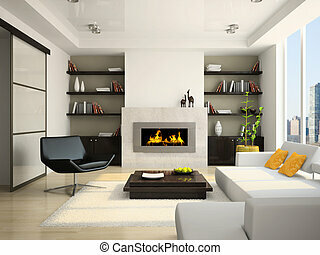 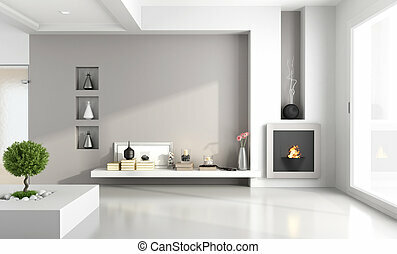 Minimalist fireplace in a e empty modern living room - rendering. 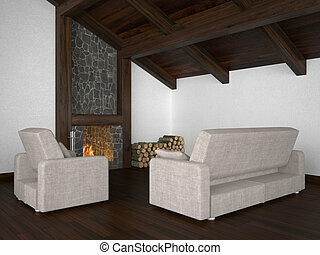 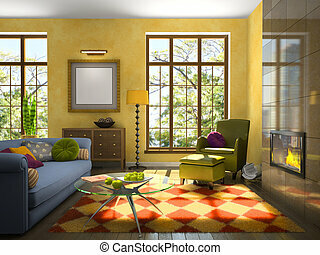 Living room with roof beams and fireplace. 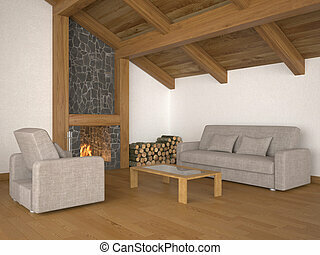 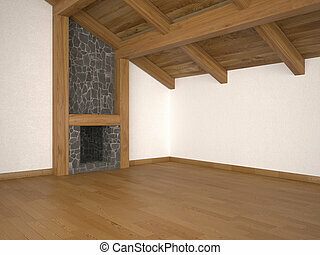 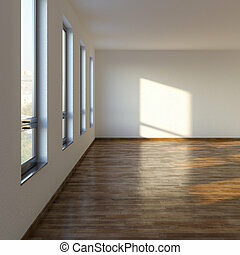 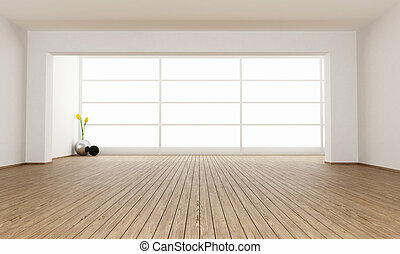 Empty living room with fireplace, roof beams and parquet floor.